Lists of materials - Technical information - Numerous construction drawings are all included. You can view & print the drawings in full or in sections. BUILDING PHOTOS are included in the study plan package. PLUS you receive a FREE (value 79.95) e-book BUILD YOUR OWN BOAT .. Please note that when you receive your credit or debit card statement the amount will be converted to YOUR local currency. 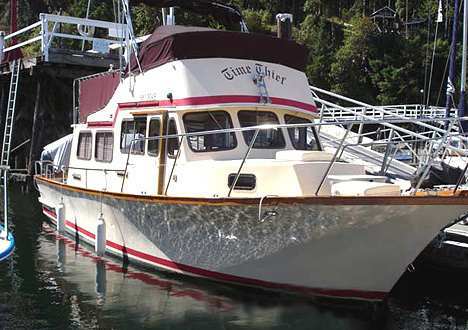 SPECIAL INTRODUCTORY OFFER: BOAT PLANS & FULL SIZE FRAME PATTERNS or PLANS & CUTTING FILES... Delivered by DOWNLOAD to your computer within 12 hours of you placing your order. The plans have all the information you need to build your own boat. Passagemaker TRAWLER 420 Steel KIT or Cutting Files. Over 500 already in service throughout the world. 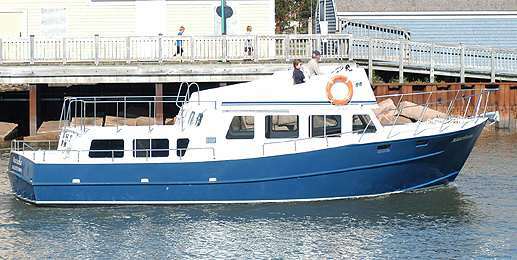 The build from scratch version of this very popular design has been built in large numbers so we have considerable feed-back on this boat. Ease of construction is a feature of this new kit. 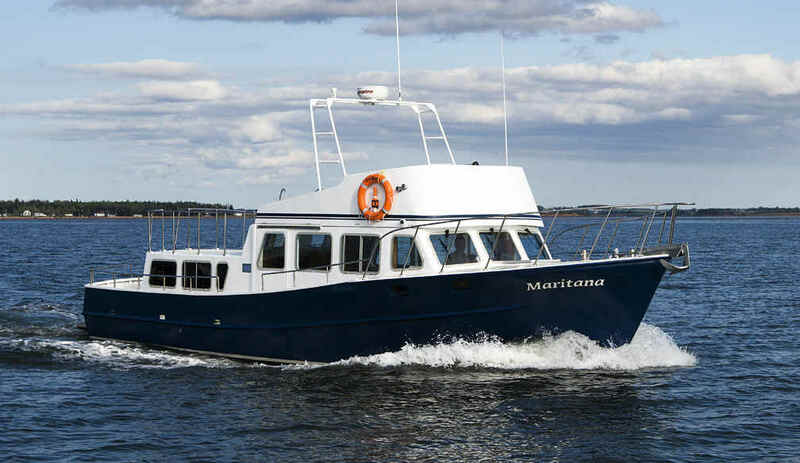 If you are considering building a traditional trawler you will love this proven vessel. The TY 420 lines are based on 'real fishing trawler lines' and this ensures wonderful sea-keeping qualities. Read the comments of one owner who has now covered several thousand miles in the proto-type vessel. The accommodation can be varied to suit your needs and the boat is capable of carrying a auxiliary sail rig if required. 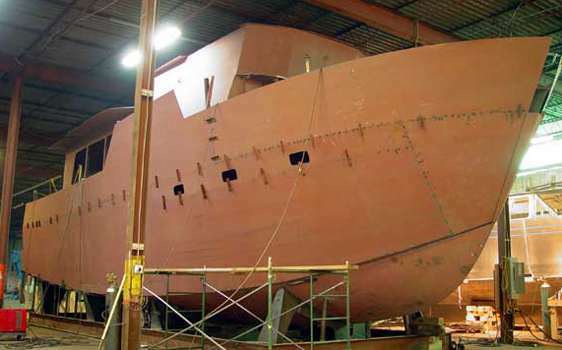 "I launched this boat in June of '97 at Michigan city, IN. Shakedown cruise got a perfect 10. I just completed a cruise to Florida via the Tenn-Tom to Tampa where I completed the interior. I returned via the Inter-costal, East coast, Hudson, Erie Canal and the Great Lakes. LOA. 12.50 m 41' 0"
L.W.L. 10.97 m 36' 0"
BEAM over all. 3.96 m 13' 0"
DRAFT (Draft can easily be reduced to 4 ft / 1.22 m by modifying the keel.) 1.22 m - 1.37 m 4' 0" to 4' 6"
This is a photo of another early version of the TY 420 - there are over 500 of these so you may have seen one or more at your marina. Here we see one possible accommodation layout as well as the engine room and tankage. Here are shown just two of the many layouts possible in this hull.